Smores are a big hit during the summer with all the camping, but they could be a delicious treat all year round! The mix of flavors is unlike anything else and always make me think of summer nights growing up. They are always a favorite sweet treat at my house. My kids, especially my daughter would have them every night for dessert if I let her. The chocolate, the graham crackers, and that marshmallow-y goodness make for a dessert that can be changed up so many ways and always taste delicious no matter what. Using those three essential smores flavors the recipes are endless and can be so versatile for some very tempting dessert options. 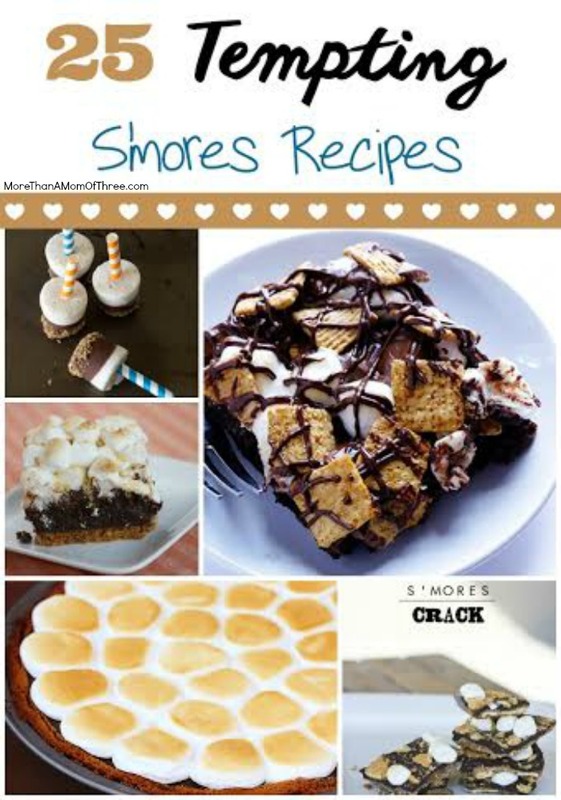 This list features some of the absolute best smores recipes and they’ll leave you begging for more! They look amazing, I plan on trying these over the weekend! Oh wow. All of those sound and look delicious. I especially want that Smores Pie. Mistee Dawn recently posted…Get the best accessories for your phone at MobileFun.com! These all look so good and I love the idea of the bars. Thanks for sharing. You had me at S’more! Visiting from the Weekend Re-Treat! These are some great s’more ideas. Thank you for sharing with Foodie Friends Friday! This recipe looks so delicious! Hi, I’m Anita visiting from Showcase Your Talent Thursday.